( March 29, 2014, Karachi, Sri Lanka Guardian) A Session court in Lahore sentenced Sawan Masih to death. 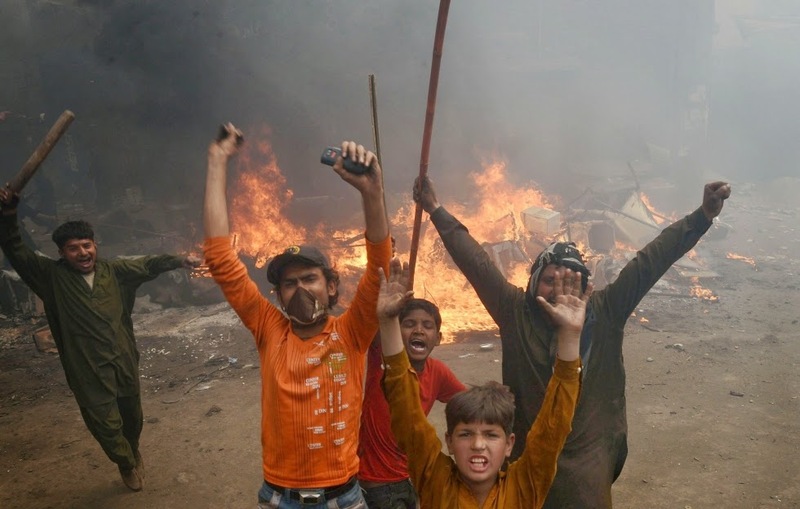 Sawan Masih a Christian resident of Joseph Colony Lahore, who was accused of blasphemy in March 2013, as a reaction over 150 houses were burnt by the Muslims. Life For All Pakistan has strongly condemned the sentence, " in Pakistan even being accused of Blasphemy is equivalent to being sentenced, the blasphemy laws in Pakistan are used to settle personal vendettas, Joseph Colony incident is a clear example of intolerance and misuse of the Blasphemy laws...the people who made over 200 families homeless were released by the court, but a person who was falsely accused has been sentenced to death. The Former President of Pakistan Asif Ali Zardari had placed a 5 year moratorium on executions in June 2008. However, the hiatus was interrupted in November 2012 when the military executed a soldier who was found guilty of murder. Since then, no one has been sent to the gallows after Prime Minister Nawaz Sharif once again suspended the use of death penalty even after the moratorium expired in June last year, 8,526 are on the death row till the end of 2013. We will be protesting against Masih`s sentence and justice for Asia Bibi on Sunday after the Church service. We pray for Sawan Masih and Asia bibi who await justice. We will have a day of prayer for the persecuted in the next week. Masih denied the charges against him, asserting that he had said nothing in respect of the Prophet Mohammed and that false accusations were made against him because of a property dispute. He had been in jail since his arrest in March last year.